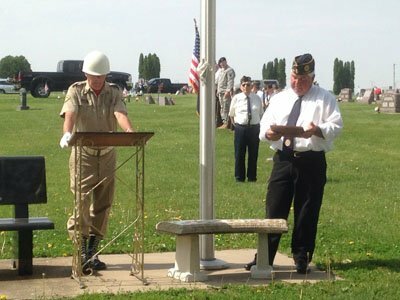 May 31st, Memorial Day services were held at the Biggsville cemetery. Russell Liston of Biggsville was presented with a plaque that read: Presented to Russell Liston for outstanding service to the Biggsville American Legion and your continued commitment to the Memorial Day services since 1972. Liston (left) was presented the plaque by Biggsville American Legion commander, Scott Kelly.